You might expect to get grimy feet from walking barefoot along a pebbly beach -- but not from your shower floor. 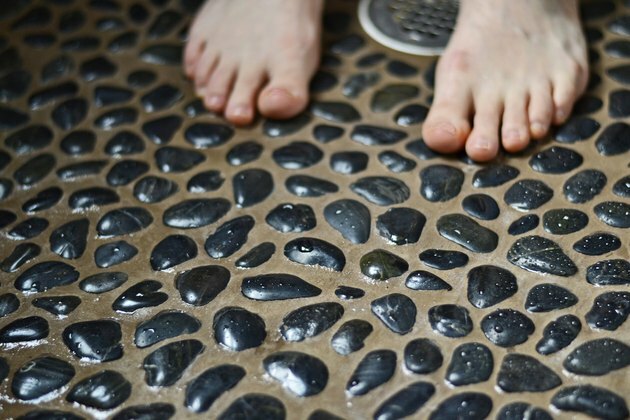 A clean pebble shower floor welcomes you with sanitary, smooth, nubby stones to massage tired, achy feet. 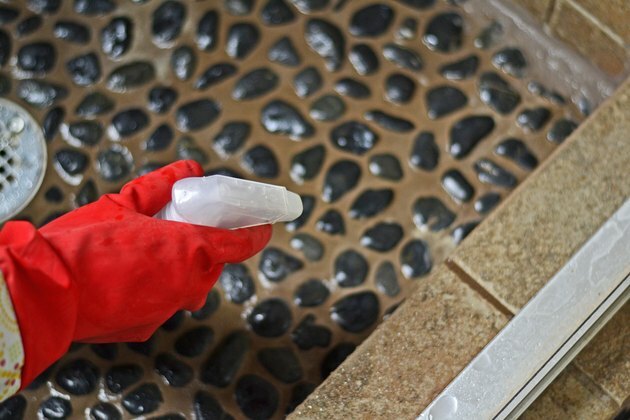 As long as the pebble tiles were installed correctly and the pebbles and grout were finished properly with sealer, they're relatively easy to clean. If the floor appears dry or stains easily, however, the stone surface might require resealing after you get it clean to make it easier to keep clean going forward. 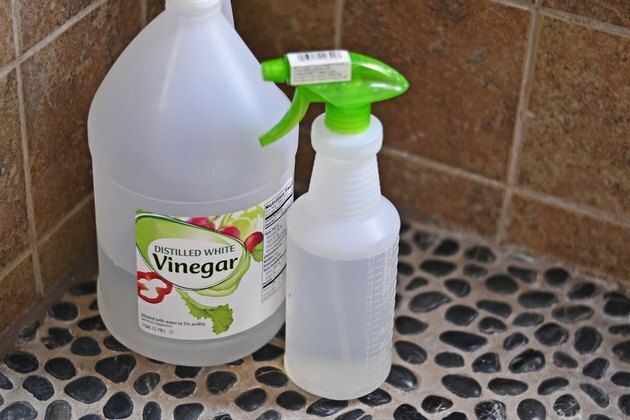 Mix 1 part vinegar with 16 parts water in a spray bottle. 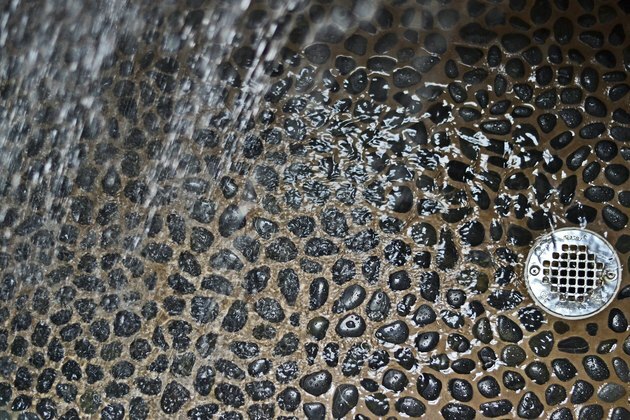 Spray the vinegar water over the pebble surface thoroughly. 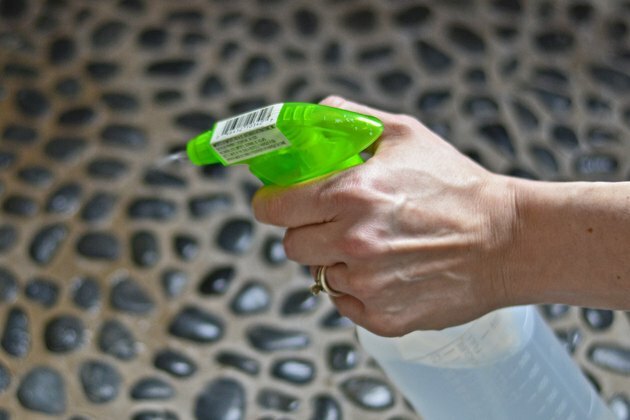 Allow it to sit for a few minutes to help lift soap scum and hard-water deposits. 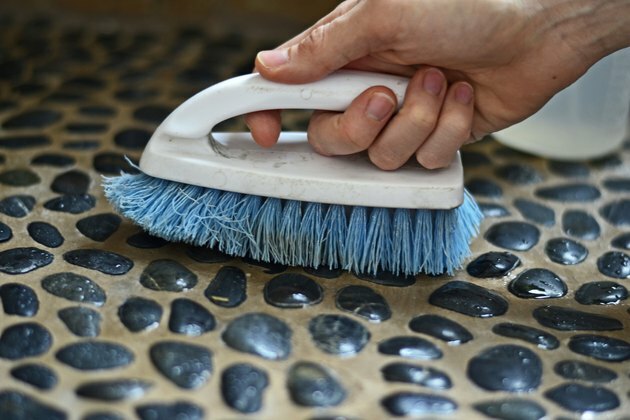 Scour the pebbles and grout with a nylon-bristle scrub brush, using a circular motion to get around the stones and into the corners. Turn on the shower to rinse the shower floor with warm water. Remove persistent stains with a mix of 1 part hydrochloric acid -- hydrogen chloride -- to 10 parts water, using the scrub brush, if suggested in the manufacturer's cleaning guidelines. Wear rubber gloves and safety glasses, and make sure the room is ventilated by turning on the bathroom fan or opening nearby windows when you mix and use hydrochloric acid. 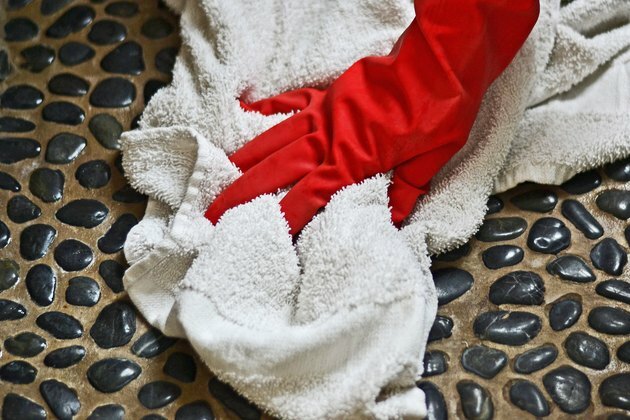 Dry the floor to avoid water spots, using an old terry towel.